From the Cosmic perspective, this week is eventful. The backdrop is the intensifying influence of a new Moon at 26 degrees of Aries on Sunday, April 15th. A glance at the new Moon chart is a little jarring. It seems the theme is exciting and encouraging – or shockingly frightening. It doesn’t seem to be anything in-between. Or it may be both. Uranus, the planet of extremes, is placed at 28 degrees of Aries – just 2 degrees past the New Moon’s placement at 26 degrees. 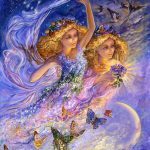 A new beginning (new Moon) will be forceful and shocking, possibly ingenious and enlightened, action-oriented, instinctively driven – a definite wake-up call of some kind. I’ll take a closer look at it and write something more specific over the next few days. 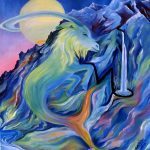 On Sunday after being in retrograde motion for 23 days, Mercury turns direct in the sign of Aries – about 12 hours before the rise of the impending New Moon. 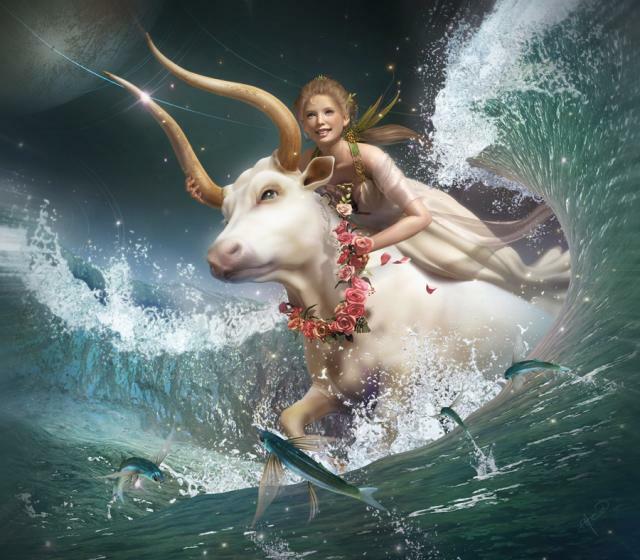 Saturn in Capricorn changes direction on Tuesday, April 17th for a five month stint in retrograde motion. In light of emerging realities our life direction is up for review and maybe some critical reconsideration. Financial approaches and strategies, our approach to setting boundaries and asserting authority, and self-discipline are possible areas in need of further examination and improvement. If you’re getting ready to launch something new Saturn may delay it. That gives you more time to prepare, to fill in the blanks, to reorganize, rearrange, and exclude or include something critical to your future success. Saturn retrograde prevents failure by stalling something premature. Saturn and Mercury annoy each other for the next couple weeks. The timetable you have in your head may run ahead of what’s comfortable for Saturn. Saturn asserts his authority to slow things down, forcing a responsible, grown-up, critical, step-by-step process. Saturn wants rationality and more careful consideration of the inconvenient facts you may be trying to ignore. Decisions may feel heavy and strenuous at this time. More work (that you don’t want to do) may be necessary. Mercury is frustrated and ready to move on. 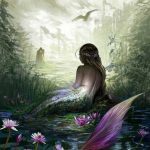 On Tuesday, April 17th – the same day Saturn turns into retrograde motion – Chiron, the wounded-healer, after 8 long years, moves out of Pisces and into the sign of Aries. This will be interesting. Pisces and Aries take a very different approach to healing. 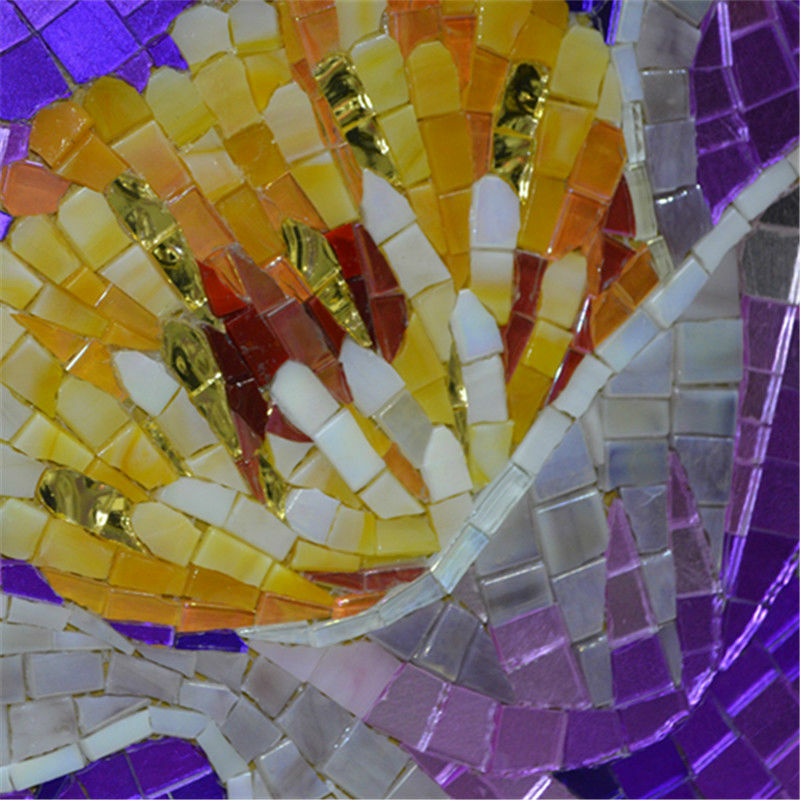 Pisces slowly, imperceptibly, and gently heals through a dissolving, shifting, unraveling, process. It’s all very subtle and designed to make room for something more compassionate. There’s nothing subtle about Aries. In 1968 toward the very end of Chiron’s last cycle through Pisces, Martin Luther King announced his plans for a “poor people’s campaign.” It was viewed by many as a threat to an old social order that had historically benefitted the rich and powerful. A couple weeks later, when Chiron transited into Aries, Martin Luther King was shot and killed. 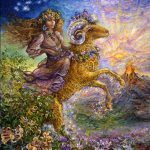 Aries can be dangerous and destructive, impulsively destroying in an instant something essential to our ultimate survival – to life itself. Aries tactics can be violent, swift, warlike, competitive, uncivilized, and motivated by rage. But he’s not afraid to act. There-in lies the blessing and the curse. A European friend explained to me his view of how America’s attitude differs from the European perspective. Europe, he explained, takes the long view. They’re older and wiser, more experienced, but somewhat set in their ways and dis-inclined to act for the sake of progress. America, in contrast, is like the over-confident, inexperienced teenager who’s all about taking action. He’s unburdened by a perspective that knows how painful consequences can be. He believes in himself and relies on his instincts so his actions are sometimes uncannily accurate and perfectly timed. He can pave the way for a type of progress that benefits all. 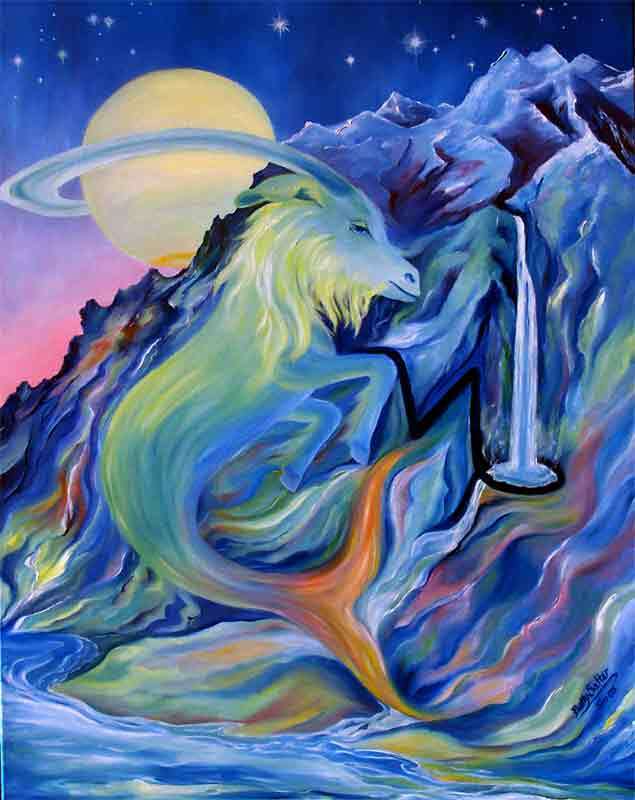 Aries heals through being instinctively inclined to act. He can be the agent that undermines stagnation, fear, comfort, infinite patience, tolerance for the intolerable, and burn-out. Aries is the “shot in the arm” that gives something “new and alive” a chance to survive. And finally, Pluto has been squaring the Sun for several days now. Old attachments to comforting structures are being unsettled and in some cases ripped away. Seeing what lies beneath the ego may undermine your pride and what’s been historically relied upon to support a confident, energized approach to life. An opportunity is being created to regroup at a higher, more substantial level of being. Mars, your chart ruler, and Venus are harmoniously aligned this week. It’s possible to walk that fine line between actively asserting yourself and simply sitting back, being attractive, receptive, and open to any substantial gifts that flow in your direction. An enlightened approach to ownership and cooperation, money and love, or success through something simple, patient, and respectful, is likely. This is the week to make some significant progress in the direction of your goals – or maybe more accurately to not “get in the way” of something that’s trying to ease into place while making things easier for you. A “wounded” foundation needs to be healed and replaced so you can “get on with it.” Something old and “delusional” is trying to find the exit. 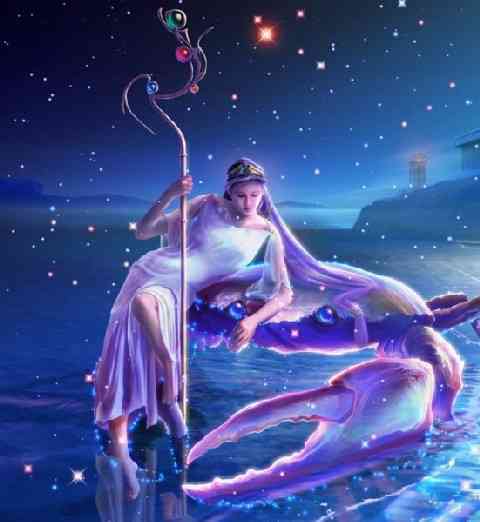 Pluto in Capricorn has exerted a powerfully transformative influence over you and your life since January of 2008 and will continue into March of 2023. It’s about breaking down your ego-self so that something more powerful and compassionate can step into the “driver’s seat.” If anger, impatience, winning, and “knowing it all” feels less compelling than usual you’re on the right track. What you might have once defined as a failure – a false start, a waste of time, a misadventure, an accidental detour – in retrospect can be seen through an entirely different lens. What once seemed like a series of haphazard, disjointed, embarrassing experiences, may now be viewed as critical to your success and ability to survive and thrive. Instinctively you may have known what you were doing. But logically it didn’t make sense. 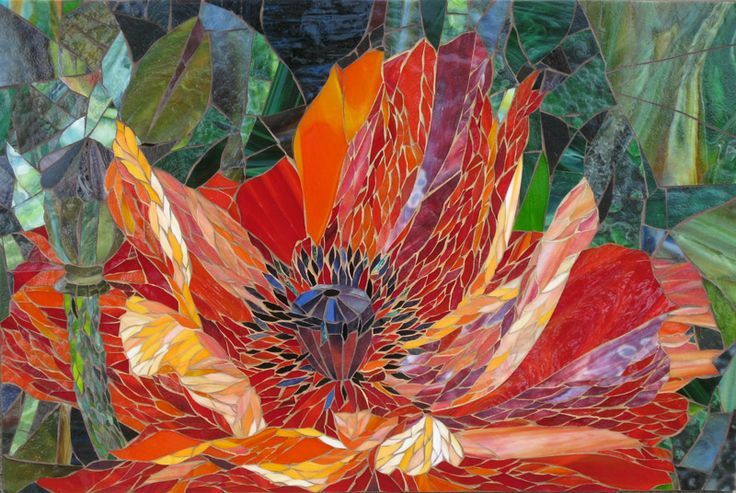 If you trusted the process enough to follow your urges, relied on your instincts, tolerated the confusion, chaos, and ever-changing goals, you may finally be at a place where you can appreciate the beautiful tapestry you were weaving in the process. A deep sense of appreciation for a chaotic or unconventional past past is now warranted. It may be a source of your great satisfaction for you as well as a critical component of your current and future success. 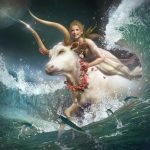 Venus in Taurus in your 12th house indicates a wealth of talent, a hidden treasure, something incredibly substantial and life enhancing hidden beneath the surface of your being and out of sight. Feeling very vulnerable may be the reason you keep so much of yourself to yourself. 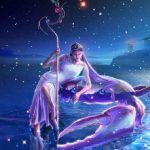 Jupiter in Scorpio is exerting a pull in the opposite direction wanting some kind of freer approach to revealing what feels risky or dangerous to reveal – as well as what might be healing and freeing. Jupiter is requesting your consideration for a re-evaluation. Is it really necessary to continue to submerge so much of who you are? Might you survive anyway if you revealed a little more to a few more people? What you keep to yourself is either a source of incredible nourishment or the gift of freedom to those who feel oppressed and maybe somewhat hopeless. No pressure. 🙂 Just asking you to consider something that will continue to be optional. Some kind of heaviness is being reflected back to you – a reminder of some failure, some kind of responsibility you may feel incapable of handling, hard work, self discipline, restriction, etc. It can all feel rather joyless and like it should belong to someone else – not you. Whatever does not kill you makes you stronger and I think you’ve moved into the “getting stronger” phase. I think you’re capable of more than you think you are. I think you could actually aim higher and succeed. I think you could infuse more joy into your life if you took more control. 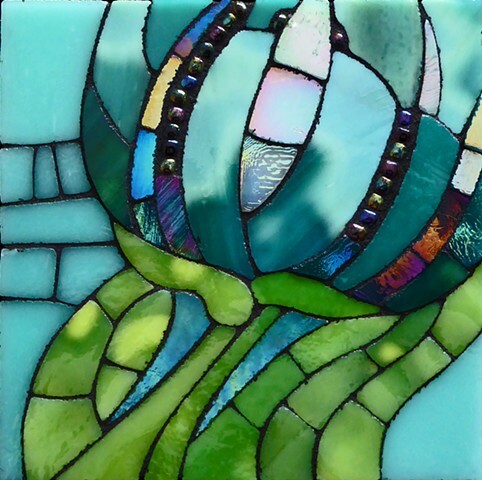 I think you could follow your bliss and do more of what you love to do while feeling very energized in the process. The key may be to move away from some old dependency and force yourself to develop or attend to a talent that has lain dormant for awhile. I think you know what you love and how to make money doing what you love. By mid-July I think you’ll find a way to pull it all together. 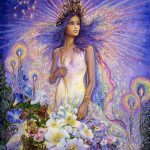 Beliefs about the nature of your future, where you will live, what you will do, how expansive you will allow your life to be, how far you can “venture out” before getting skittish are coming into play. In a nutshell “adventurousness vs. security” and “the future vs. the past” are themes exerting pull on you. You may have some doubts but it looks like you’re on the right track when you allow your imagination and plans to take you further into the realm of something riskier and more expansive. Jupiter is pushing you in that direction. In the recent past he opened you eyes to what’s actually possible for you – the kind of life you could create once you break with old ties to fear and silence the old “voices” warning you to stay within “safe” parameters. Jupiter’s in retrograde motion now through mid-July causing you to rethink what you’ve previously entertained as a possibility. If all goes well, I think you will feel more comfortable with bigger, more meaningful, more joyful plans ahead – because those actually align with your potential and what you’re capable of creating. Most of us consider hard work something we have to do, heavy responsibility a form of drudgery, daily tasks an annoyance, etc. But Virgo puts a different spin on it. 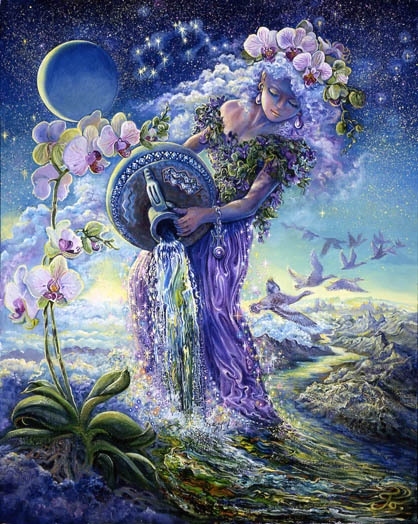 Virgo may feel happiest working, especially when self-improvement is involved. The current message is that old patterns that have been in play for a long time – methods you’ve historically chosen to problem solve, develop skills, and move yourself forward – need to dissolve and evolve. They’ve taken you as far as you can go in your current direction and it’s time now to supercharge your “process.” The North Node in your 12th house suggests it’s time to turn up the volume on subtle but powerful influences of your inner life – to access guides and muses, instincts, intuition, inspiration, other realms, and the wisdom whispered to you by your ancestors. Your old process most likely involves a brilliant mix of knowledge, feeling, and cutting-edge techniques supported by scientific rationale. There is an opportunity now to supercharge your efficiency and effectiveness by infusing it with more magic. You are, after all, a healing magician. 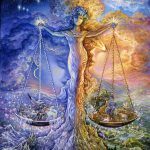 Amidst the tension and conflict, there is some beautiful harmony flowing between Venus and Mars this week. 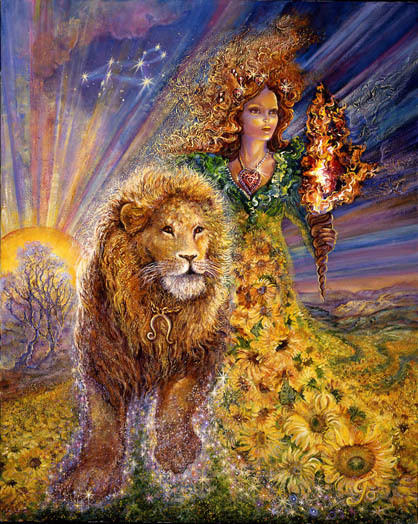 Being “ruled” by Venus, you could be especially attuned and receptive to it. It’s a forceful flow of love that could, with a little effort, be channeled through you and directed toward partners and friends, allies, enemies, etc. It could also be directed toward yourself. New beginnings are stirring in your 7th house of relationships. Maybe it’s time to take on a kinder, gentler, more nourishing approach to yourself as you absorb the simple, yet substantially nourishing, timeless version of love that is flowing through the atmosphere. There are all kinds of reasons to be frustrated, resistant, and impatient. But you benefit most from an especially discriminating, mindful approach to the energies you choose to attract and absorb. Saturn gives you the authority to say no to something flimsy that’s vying for your attention. 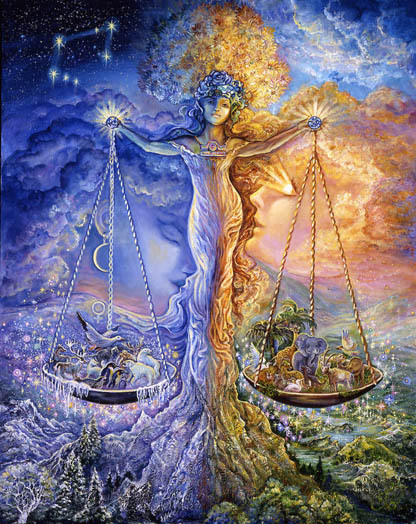 Venus and Mars offer you the harmony and balance your soul craves and your body needs to heal. Relationships are emphasized – the relationship between opposing urges and realities. 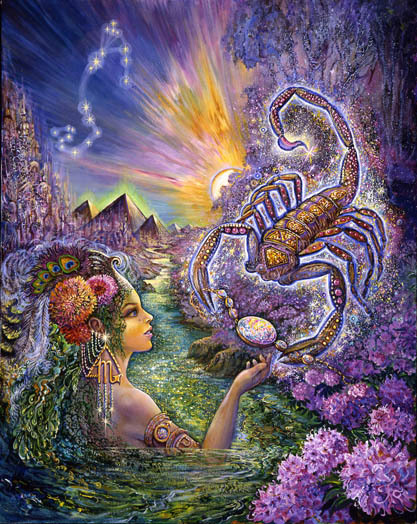 Scorpio is confronted with powerful opposing energy in the form of Venus in Taurus. You may feel split in half especially if you try to describe to another who you are. There is an intense, relentless, driving, compulsive quality to you. But there’s also something simple, unfettered, calm, and trusting. There is dark desperation and the stabilizing confidence that everything will be just fine. Mystery, magic, power, and control issues exist alongside a willingness to compromise, to make it all comfortable and beautiful. There is the need to look under every rock, to keep things unsettled and problematic. And there is the knowledge that if left alone nature will move everything into its rightful place. You are not one dimensional as much as some would like to put you in that box. This week there is clarity and something reflected back to you that feels more complete – something that feels more true. It is likely you could make significant progress as the result of some new information you choose to work with, develop, or consider valuable in some regard. 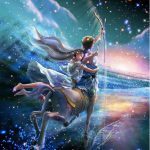 The universe is sending you important subtle signs and signals now. It pays to pay attention to things that cross your desk, to seemingly insignificant or uninteresting suggestions, to material you habitually pass off as “not relevant to me” or “beneath me.” You are the recipient at this time of subtle but incredibly valuable gifts that are easy to ignore. They are designed to provide some unprecedented clarity about who you are at the deepest levels. 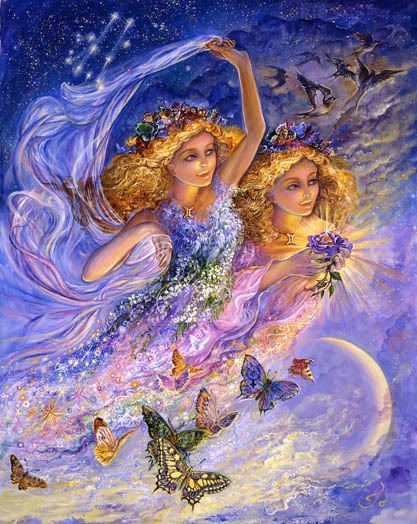 They’re designed to introduce you to your higher self and assist you in moving into your full power and potential. They will guide you into your best, most meaningful future. Sagittarians are known for being impatient with details. But it’s a good idea this week to take a second look at what may seem minor and insignificant especially if it comes in the form of a gift (or suggestion) that underwhelms. If you want a job done – and done right – find a Capricorn to do it. Their standards for themselves and their work are incredibly high. It’s an admirable quality. But it’s time for your signature “conscientious process” to be up for review. How long does it take for you to feel like you’ve crossed all the “t’s” and dotted all the “i’s – not only at work but in life? The honest answer is probably “too long.” It’s increasingly likely, given the general nature of life, that you don’t have the “luxury of time” you continue to allow yourself. It’s not in Capricorn’s nature to be impulsive or to jump the gun. Still it seems important to speed up your time table. You don’t have forever. None of us do. It’s time to set some some limits on how long it will take to “get the job done.” It’s time to discipline yourself, to rein in the fear, and to be more realistic about the nature of time and the nature of life. Delaying something you would really enjoy is a grown up thing to do. In your case, though, it could also be irrational. There’s some degree of resistance to change and adaptation, to being lighter on your feet, and more open to a playful approach to life. It’s all gotten pretty serious, restricted, and inaccessible for you. You tend to keep yourself on a short leash. 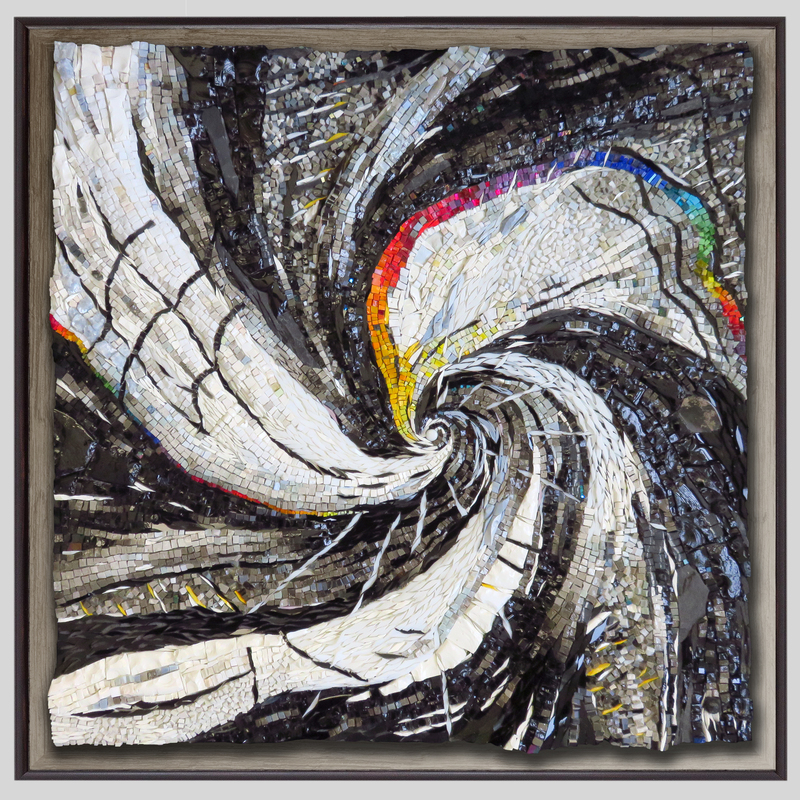 An entrenched, compulsive, fearful mental pattern may be increasingly problematic. But old ways of coping have reached and passed their date of expiration. A breakthrough is becoming increasingly important You have to work for it. 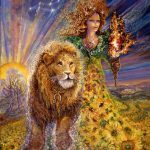 It will require persistent focus and attention, the development of a way to access what’s hidden, an ability to alter your consciousness safely and naturally. You are being faced with the kind of challenge that requires deep introspection, alone time, and a deeper relationship with your higher self. The answers lie deep within. You have to master that terrain to accomplish what you need to accomplish. Most likely it will be a strenuous, “trial and error” task. But trial and error is your thing. You know how to do that. It may be time to get less “wishy-washy” and more and determined to create the kind of future you want for yourself. 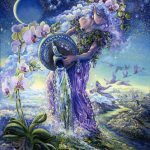 As “skilled” as you are at keeping thoughts and ideas in the “ethers” or reserved for “dreamtime” – it’s time to bring your desires down to earth, to make the hard decisions, to develop your plan, and to put it into action. Venus in Taurus is making it clear to you what it is you want. Venus in Taurus symbolizes what is of value, stabilizing, concrete, and tangible. She craves beauty, specifically the beauty of nature, a timeless, enduring, substantial love, good food, physical comfort, and sensual delights. Maybe that resembles some of things you want and clarifies the direction in which you should be headed. 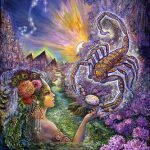 Jupiter in Scorpio in retrograde motion through mid-July urges you to sort through and resolve issues from the past that limited you to a less than satisfying future. Self-sacrifice and victimhood is not your fate but it is an option. You have about two months to get this show on the road.